"Town centres are the heartbeat of every community and businesses are the foundation" burbled Blears in a muddle of mixed metaphors "so it is vital that they remain vibrant places for people to meet and shop throughout the downturn. Our ideas for reviving town centres will give communities the know-how to temporarily transform vacant premises into something innovative for the community - a social enterprise, a showroom for local artists or an information centre - and stop the high street being boarded up." It is, of course, a triumph of spin over substance. Even putting aside the very obvious problem of who would step forward to champion and fund these 'innovative' ideas in such challenging economic times, turning the off disused shop unit into a 'social enterprise' is hardly going to ease the economic woes of our small retailers. 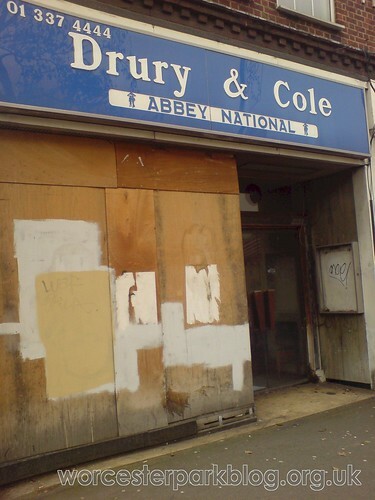 If more were done to tackle the cause of empty shop units and to help small businesses through this economic downturn then this would be less of an issue and there would be no need for Ms Blear's beloved social enterprise showrooms.